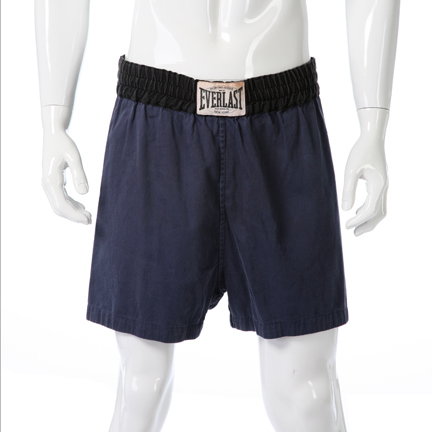 These shorts were worn by the character "James J. Braddock," portrayed by Russell Crowe, in the 2005 motion picture, "Cinderella Man." 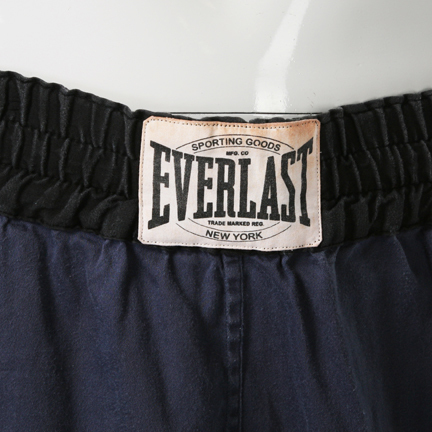 The faded blue distressed cotton boxing shorts have the Everlast label on the waistband and includes a white sleeveless practice shirt with "Maple Leafs" printed across the front. 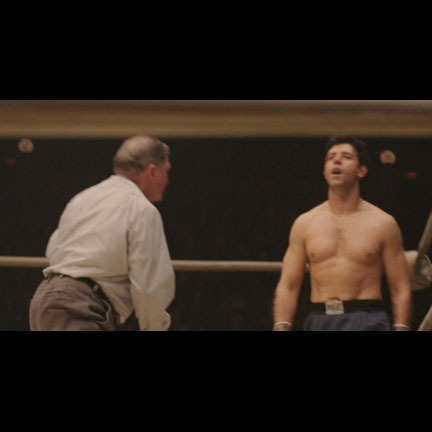 Mr. Crowe wore the shorts in the fight against heavyweight contender, Corn Griffin (Art Binkowski). 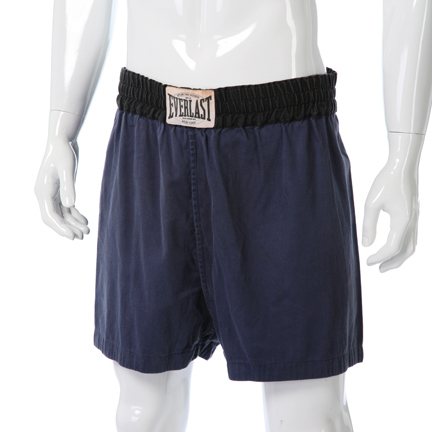 Braddock sold all of his boxing gear when he retired from working as a longshoreman, so Braddock had to borrow everything including these shorts for his fight against Griffin. 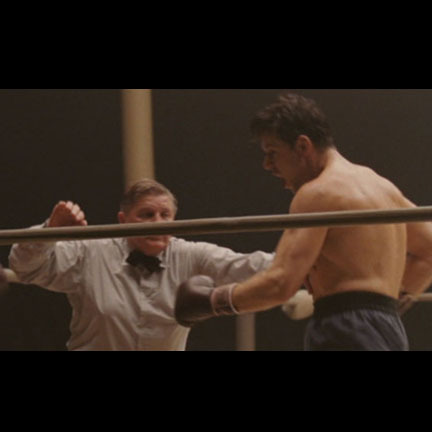 Mr. Crowe wore the maple leaf shirt while training on set right before filming a scene. He considered it his "lucky charm" shirt and would not wear any other shirt to practice. 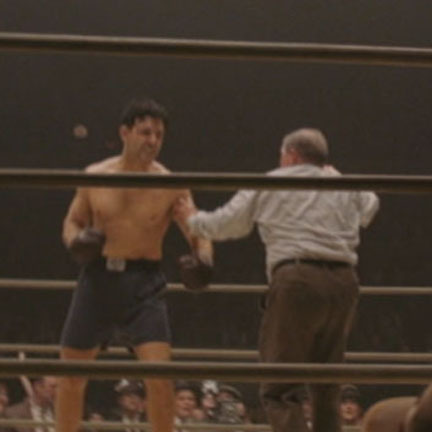 "Cinderella Man," starring Russell Crowe, Renee Zellweger, and Paul Giamatti, was nominated for three Academy Awards and two Golden Globe awards. 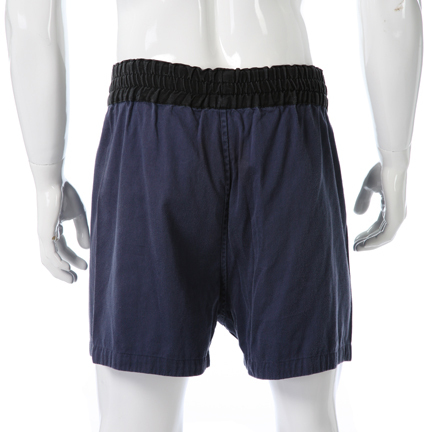 The shorts are in very good screen worn condition and the shirt is in good production use condition with some distress due to extensive use. Accompanied by a letter of authenticity from Mr. Crowes personal costumer. Presented by The Golden Closet, your premier source for iconic screen used wardrobe, props, and music entertainment memorabilia.